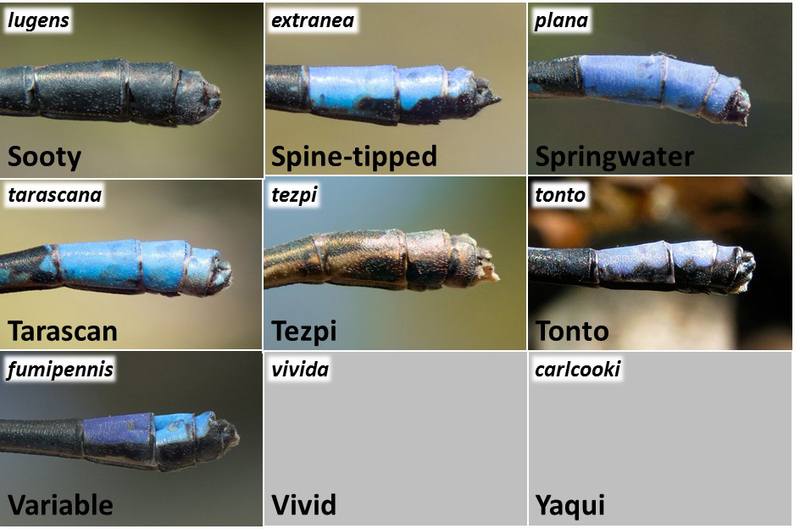 As the figure below illustrates, in damselflies including dancers (genus Argia) the last abdominal segments (S7-S10) are followed with appendages that consist in a pair of dorsal cerci (sing. cercus) and a pair of ventral paraprocts. Males use appendages to grab and hold females during copulation. 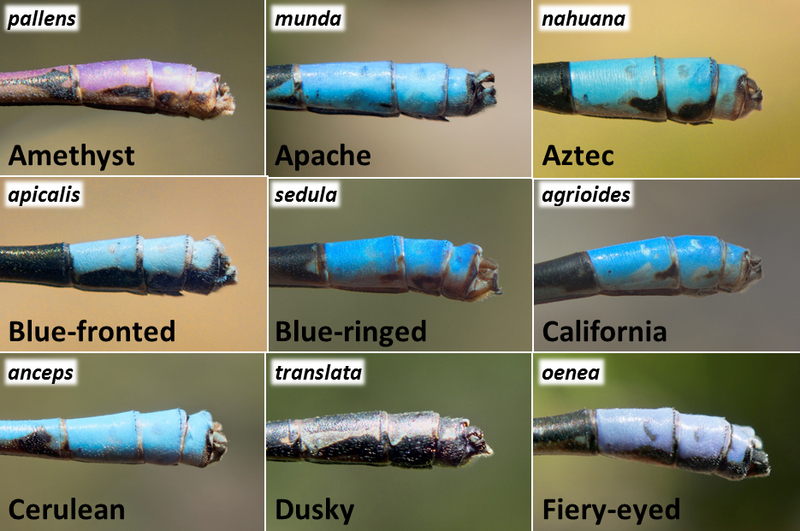 Within each species, body coloration can vary considerably depending on factors such as age and ambient temperature, and in some cases also geographically. This variation can contribute to the difficulty of visually separating similar species from each other. 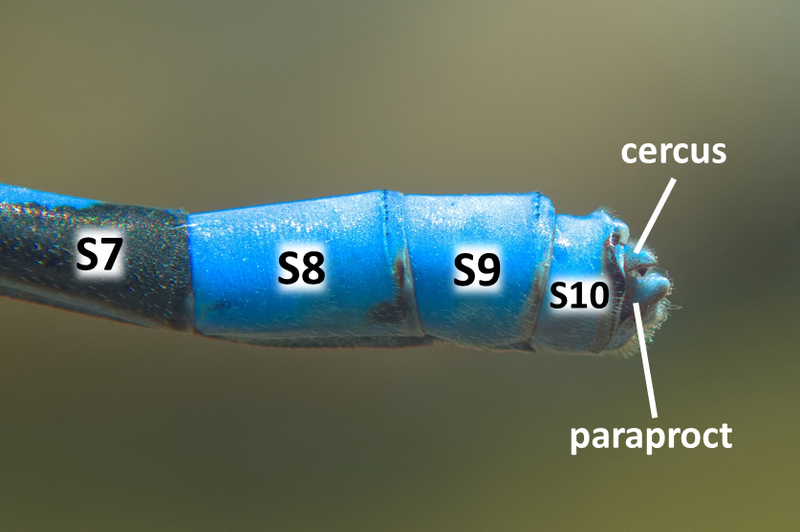 By contrast, within a species the structure of male appendages is constant and is not influenced by the above factors. 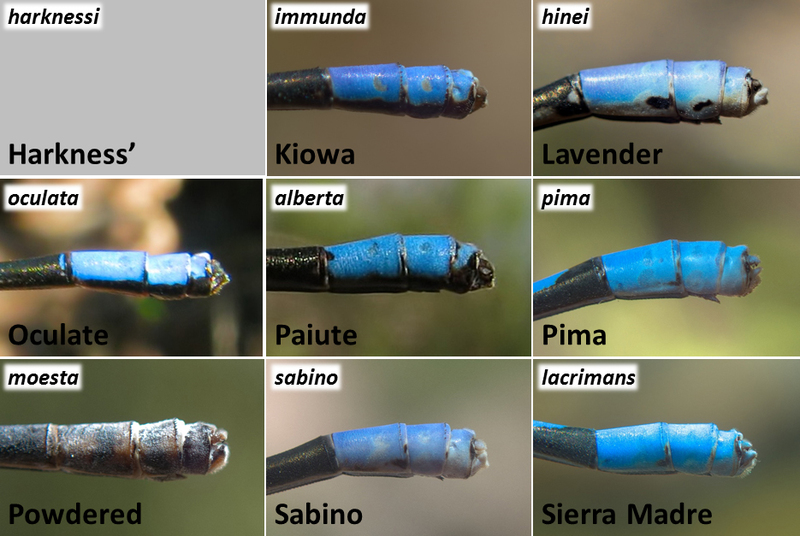 As the shape of appendages differs subtly from one species to another, close examination of appendages can be used to reliably separate species that otherwise look similar. Illustrating this, the three bottom plates show lateral views of the appendages of the dancers found in Arizona.